"No holds barred hypnotist Anthony Cools delivers one orgasmic performance. 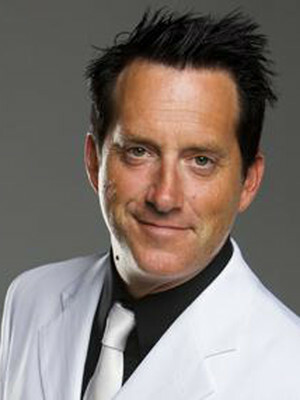 Unscripted, uncensored, uninhibited, unruly, unbelievable, all this and more is an attempt to describe what you can expect when you see comic hypnotist Anthony Cools in his showroom at Paris Las Vegas." Hypnotist Anthony Cools uses his skills for decidedly evil purposes, tapping into the carnal desires and subconscious naughtiness of his audience, shearing off all inhibitions. Signature stunts in his hilarious and interactive 90-minute show include handshakes that induce vocal, sexual responses, as well as several other tricks so shocking, we can't even print them. Cools pushes the limits of the mind and body, while remaining careful not to embarrass his subjects, a courtesy that has earned him a cult following. Strictly over-18s only; this show has adult content in it. Seen Anthony Cools? Loved it? Hated it? Sound good to you? Share this page on social media and let your friends know about Anthony Cools at Anthony Cools Experience. Please note: The term Anthony Cools Experience and/or Anthony Cools as well as all associated graphics, logos, and/or other trademarks, tradenames or copyrights are the property of the Anthony Cools Experience and/or Anthony Cools and are used herein for factual descriptive purposes only. We are in no way associated with or authorized by the Anthony Cools Experience and/or Anthony Cools and neither that entity nor any of its affiliates have licensed or endorsed us to sell tickets, goods and or services in conjunction with their events.